A rare pair of walnut framed lounge chairs with wool upholstery. Designed by Edward Wormley for Dunbar. A pair of small-scale lounge chairs on casters. Designed by Edward Wormley for Dunbar. 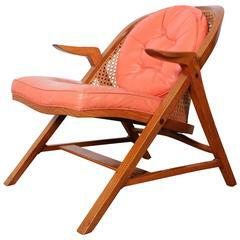 An elegant A-frame lounge chair with original pink leather. Designed by Edward Wormley for Dunbar. A pair of large-scale tufted party club chairs designed by Edward Wormley for Dunbar. Two pairs available as well as a pair of sofas. Edward Wormley design swivel lounge chairs for Dunbar, model #5609 Refinished and reupholstered in a cotton velvet fabric. Lounge chair by Edward Wormley for Dunbar. Has a walnut base and newly upholstered. Edward Wormley leather lounge chair and ottoman for Dunbar, designed in 1957 for the Janus line. Measures: Ottoman 24.5" wide x 22.75" deep x 14.25" tall. Edward Wormley "television chair" on casters. Upholstered in mohair. 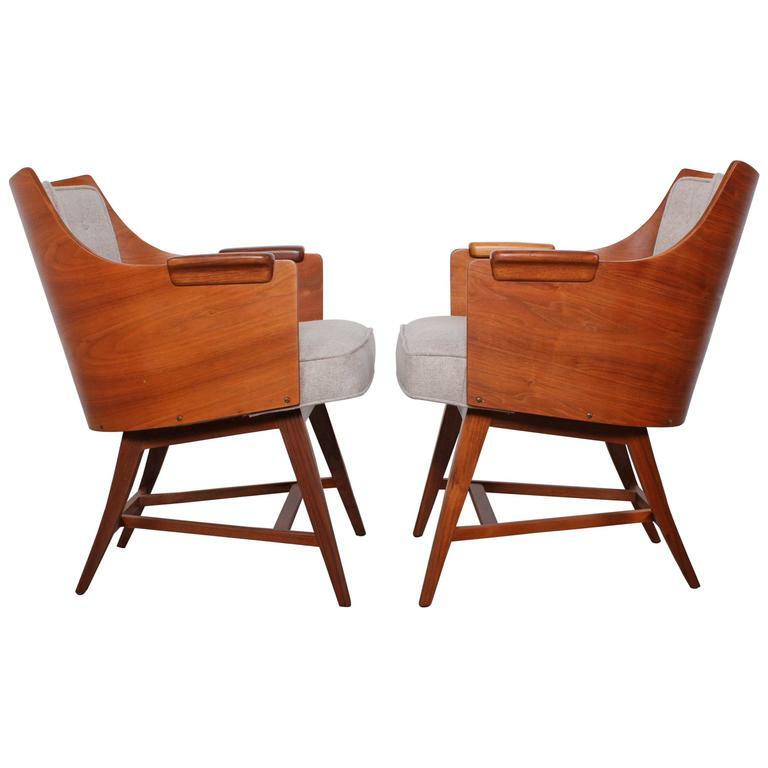 A pair of Dunbar lounge chairs by Edward Wormley. 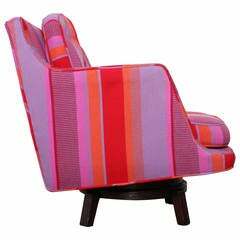 Upholstered in a textured wool.